Kevin Kircher, 54, a deck hand on the ferry Charlie Wells, waits for late-arriving cars before closing the gate. Kevin Kircher is living the dream. 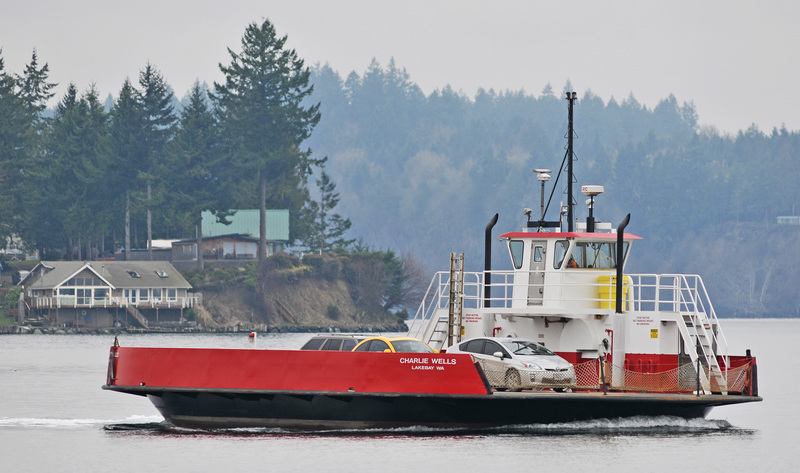 Rain, sleet or snow Kircher is the first person off and the last one on the HMC Charlie Wells — a privately owned ferry and the smallest car and passenger ferry in operation in the Puget Sound. 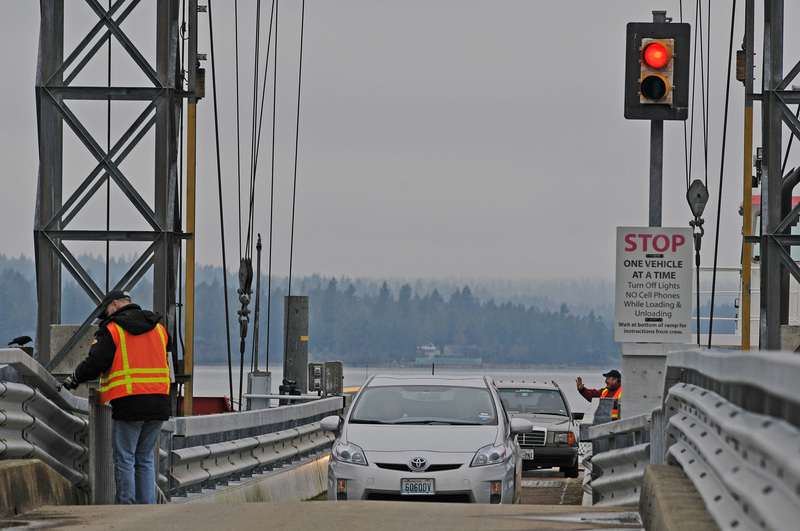 It means having to guide cars and trucks on and off the ferry to Herron Island no matter what the conditions are. But it also means living on a beautiful wooded island on the Puget Sound with his wife and three boys to enjoy the views of the Olympics mountain range, Case Inlet and the Key Peninsula mainland. The people he guides on and off the ferry are his neighbors and their guests. The ferry is also his ride home. 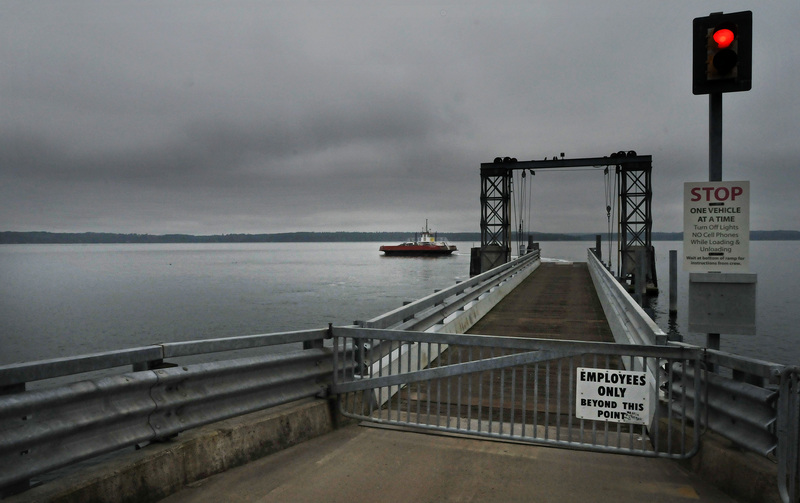 All access to Herron Island is by boat, mostly aboard the HMC (Herron Maintenance Co.) ferry the “Charlie Wells” — seen crossing the Case Inlet with the northern tip of the island in the background. 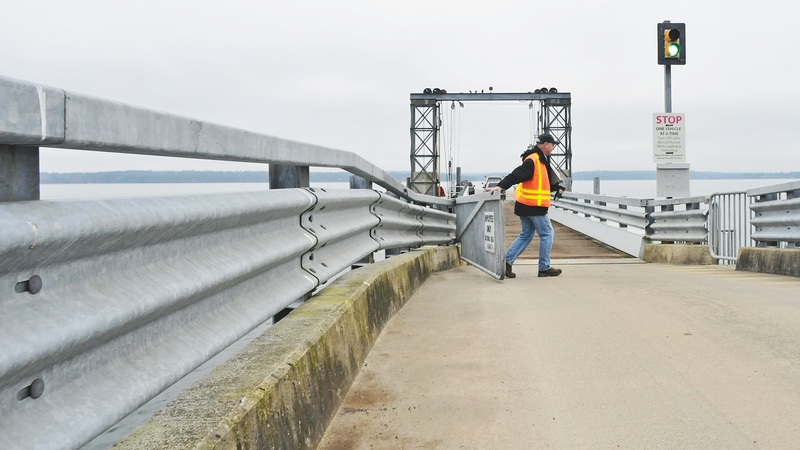 Kircher, 54, is one of a crew of two for every crossing that operates the 65-foot ferry that is the only access to Herron Island. “I am on the weekend crew. I am part-time fulltime,” he says. The ferry HMC Charlie Wells can carry up to 12 cars and 42 passengers on a crossing that takes between 7-10 minutes to complete. The weekend crew of two guide cars off the ferry at the ferry landing on the Key Peninsula. The Charlie Wells, built in 1989 and originally named the Herron Islander, can carry up to 12 cars and 42 passengers. It makes between 16-18 crossings a day, seven days a week and on holidays. The crossings take the diesel-powered boat 7-10 minutes to complete. It costs $16 a car and guests need a pass to board the ferry to the island. The cost of operating the boat is paid for by special assessments to property owners on the island and the fee islanders and their guests pay to use the service. Herron Island sits a mile and a half across the Case Inlet from the Key Peninsula’s western edge. It is over a mile long and a half mile across at its widest point. According to the 2000 census, 152 people live on the island. Herron Island is a privately-owned island that sits in the middle of Case Inlet about a mile and a half across the water from the western shore of the Key Peninsula. It is 1.25 miles long and a half mile wide. 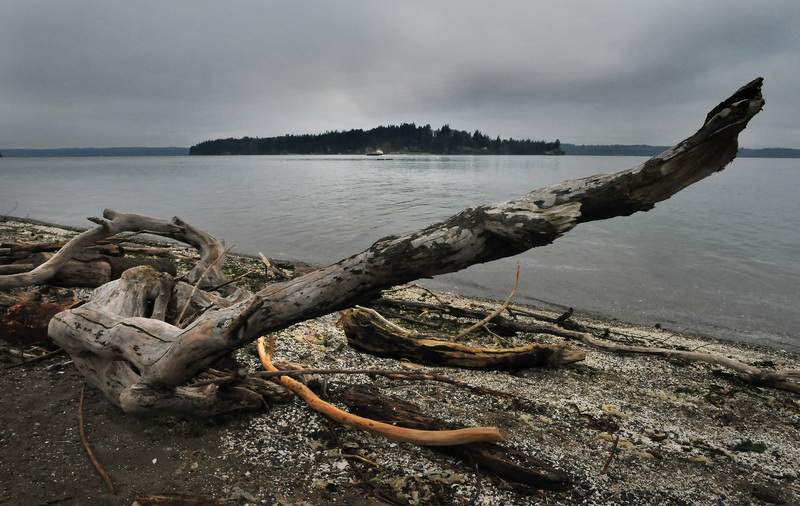 According to the 2000 census, Herron Island has a population of 152 and a total land area of 305 acres. But this picturesque island, incorporated on April 30, 1958, as Herron Maintenance Co. (HMC), is not for everyone. “You don’t have too many older, retired people on the island,” Kircher explains. A big reason is getting medical help to the island. Getting an ambulance on the island takes time. “We do have a small baseball field in the middle of the island that a helicopter can land on,” he adds. 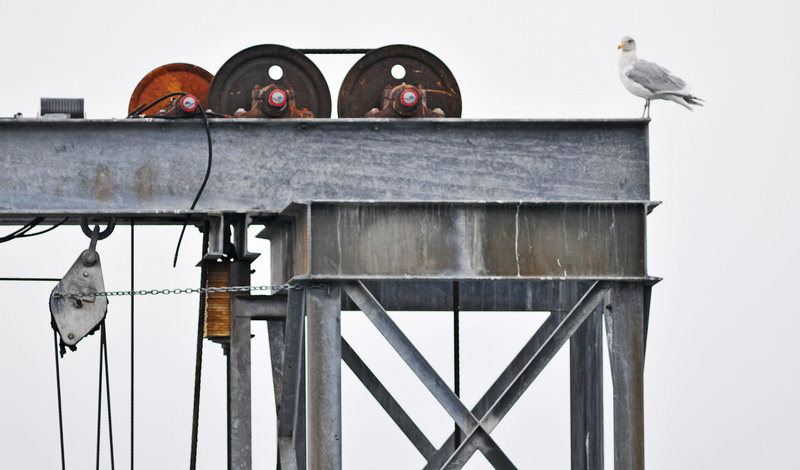 Birds watch the arrival of the HMC ferry Charlie Wells on a dry February morning at the ferry landing on the Key Peninsula. 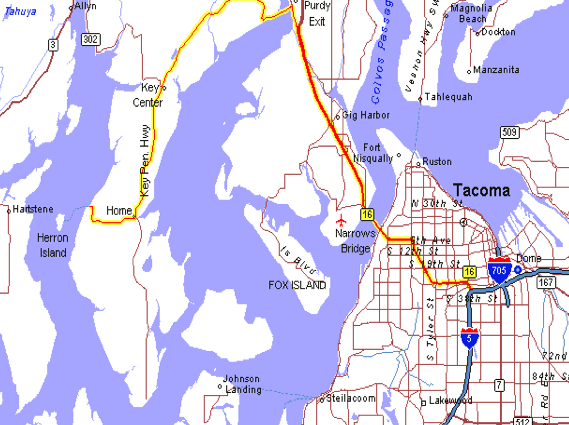 Kircher says he has lived around Western Washington — Federal Way, Gig Harbor and on a beach house in Lakebay. But living on the island is what he says he has always wanted to do. He moved to Herron Island in 2004. “The sunsets are amazing,” he says of the island. “The view of the Olympics on a clear winter day ” makes living on the island worth it, he adds. Kevin Kircher closes the gate after the last car has driven on the ferry. Nice job Kevin, you represent us well! Kevin: May I have your authgraph !!!! any where else when you have the Island and all its beauty and our ferry crews are the best. Kevin on the friendly crew!! !always possitive and smiling a joy!! Kevin is always smiling and friendly. Gives everyone’s dogs treats, too!!! Keven, the Charlie Wells and Herron Island are awesome! Great article! Well earned recognition for Kevin who always has a smile and has taught us “island newbies” much of what we know about the island. Thanks Kevin and the rest of the Herron Island ferry crew and managerial staff! Kevin is one of the reasons our cares melt away as we head down to the ferry. Not only are we greeted with a spectacular view, but Kevin is always smiling and in a great mood. He remembers our names and is very welcoming. Nice job Kevin! Why would anyone not want to come to Herron Island…you are treated with respect as soon as you arrive. This artical was well written and painted a picture how Kevin represents Herron Island.